Henrietta Lacks was only 31 when she died of cervical cancer in 1951 in a Baltimore hospital. Not long before her death, doctors removed some of her tumor cells. They later discovered that the cells could thrive in a lab, a feat no human cells had achieved before. Lacks Family, via The Henrietta Lacks Foundation — Henrietta Lacks in the 1940s. Soon the cells, called HeLa cells, were being shipped from Baltimore around the world. In the 62 years since — twice as long as Ms. Lacks’s own life — her cells have been the subject of more than 74,000 studies, many of which have yielded profound insights into cell biology, vaccines, in vitro fertilization and cancer. But Henrietta Lacks, who was poor, black and uneducated, never consented to her cells’ being studied. For 62 years, her family has been left out of the decision-making about that research. Now, over the past four months, the National Institutes of Health has come to an agreement with the Lacks family to grant them some control over how Henrietta Lacks’s genome is used. “In 20 years at N.I.H., I can’t remember something like this,” Dr. Francis S. Collins, the institute’s director, said in an interview. The agreement, which does not provide the family with the right to potential earnings from future research on Ms. Lacks’s genome, was prompted by two projects to sequence the genome of HeLa cells, the second of which was published Wednesday in the journal Nature. Though the agreement, which was announced Wednesday, is a milestone in the saga of Ms. Lacks, it also draws attention to a lack of policies to balance the benefits of studying genomes with the risks to the privacy of people whose genomes are studied — as well as their relatives. 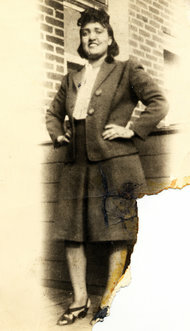 As the journalist Rebecca Skloot recounted in her 2010 best-seller, “The Immortal Life of Henrietta Lacks,” it was not until 1973, when a scientist called to ask for blood samples to study the genes her children had inherited from her, that Ms. Lacks’s family learned that their mother’s cells were, in effect, scattered across the planet. Some members of the family tried to find more information. Some wanted a portion of the profits that companies were earning from research on HeLa cells. They were largely ignored for years. Ms. Lacks is survived by children, grandchildren and great-grandchildren, many still living in or around Baltimore. And this March they experienced an intense feeling of déjà vu. Scientists at the European Molecular Biology Laboratory published the genome of a line of HeLa cells, making it publicly available for downloading. Another study, sponsored by the National Institutes of Health at the University of Washington, was about to be published in Nature. The Lacks family was made aware of neither project. Officials at the National Institutes of Health now acknowledge that they should have contacted the Lacks family when researchers first applied for a grant to sequence the HeLa genome. They belatedly addressed the problem after the family raised its objections. The European researchers took down their public data, and the publication of the University of Washington paper was stopped. Dr. Collins and Kathy L. Hudson, the National Institutes of Health deputy director for science, outreach and policy, made three trips to Baltimore to meet with the Lacks family to discuss the research and what to do about it. “The biggest concern was privacy — what information was actually going to be out there about our grandmother, and what information they can obtain from her sequencing that will tell them about her children and grandchildren and going down the line,” Ms. Lacks Whye said. The Lacks family and the N.I.H. settled on an agreement: the data from both studies should be stored in the institutes’ database of genotypes and phenotypes. Researchers who want to use the data can apply for access and will have to submit annual reports about their research. A so-called HeLa Genome Data Access working group at the N.I.H. will review the applications. Two members of the Lacks family will be members. The agreement does not provide the Lacks family with proceeds from any commercial products that may be developed from research on the HeLa genome. With this agreement in place, the University of Washington researchers were then able to publish their results. Their analysis goes beyond the European study in several ways. Most important, they show precisely where each gene is situated in HeLa DNA. A human genome is actually two genomes, each passed down from a parent. The two versions of a gene may be identical, or they may carry genetic variations setting them apart. Cancer cells taken from Ms. Lacks not long before her death in 1951 have been the subject of more than 74,000 studies. Dr. Shendure and his colleagues have developed new methods that allow them to gather that information. By reconstructing both strings of the HeLa genome, they could better understand how Ms. Lacks’s healthy cells had been transformed over the past 60 years. For example, they could see how Ms. Lacks got cancer. Cervical cancer is caused by human papillomavirus infections. The virus accelerates the growth of infected cells, which may go on to become tumors. Dr. Shendure and his colleagues discovered the DNA of a human papillomavirus embedded in Ms. Lacks’s genome. By landing at a particular spot, Ms. Lacks’s virus may have given her cancer cells their remarkable endurance. Richard Sharp, the director of biomedical ethics at the Mayo Clinic, said he thought the agreement “was pretty well handled.” But he warned that it was only a “one-off solution,” rather than a broad policy to address the tension between genome research and the privacy of relatives, now that recent research has demonstrated that it is possible to reveal a person’s identity through sequencing. Dr. Sharp considered it impractical to set up a working group of scientists and relatives for every genome with these issues. “There’s absolutely a need for a new policy,” he said. Eric S. Lander, the founding director of the Broad Institute, a science research center at Harvard and M.I.T., said resolving these issues was crucial to taking advantage of the knowledge hidden in our genomes. Clinical decision support system (CDSS) is an interactive decision support system (DSS). It generally relies on computer software designed to assist physicians and other health professionals with decision-making tasks, such as when to apply a particular diagnosis, further specific tests or treatments. A functional definition proposed by Robert Hayward of the Centre for Health Evidence defines CDSS as follows: “Clinical Decision Support systems link health observations with health knowledge to influence health choices by clinicians for improved health care”. CDSS is a major topic in artificial intelligence in medicine. Vinod Khosla of A Khosla Ventures investment, in a Fortune Magazine article, “Technology will replace 80% of what doctors do”, on December 4, 2012, wrote about CDSS as a harbinger of science in medicine. Computer-assisted decision support is in its infancy, but we have already begun to see meaningful impact on healthcare. Meaningful use of computer systems is now rewarded under the Affordable Care Act. Studies have demonstrated the ability of computerized clinical decision support systems to lower diagnostic errors of omission significantly, by directly countering cognitive bias. Isabel is a differential diagnosis tool and, according to a Stony Book study, matched the diagnoses of experienced clinicians in 74% of complex cases. The system improved to a 95% match after a more rigorous entry of patient data. The IBM supercomputer, Watson, after beating all humans at the intelligence-based task of playing Jeopardy, is now turning its attention to medical diagnosis. It can process natural language questions and is fast at parsing high volumes of medical information, reading and understanding 200 million pages of text in 3 seconds. A Decision Support System consists of one or more tools to help achieve good decisions. For example, decisions that can benefit from DSS include whether or not to undergo surgery, whether or not to undergo a stress test first, whether or not to have an annual mammogram starting at a particular age, or a computed tomography (CT) to screen for lung cancer, whether or not to utilize intensive care support such as a ventilator, chest shocks, chest compressions, forced feeding, strong antibiotics and so on versus care directed to comfort measures only without regard to longevity. Any DSS can be viewed like a digestive tract, chewing on input, and producing output, and like the digestive tract, the output may only be valuable to a farmer. A well designed DSS is efficient in the input, timely in its processing and useful in the output. Mathematically, a DSS is a model with input parameters and an output variable or set of variables that can be used to determine an action. The input can be categorical (alive, dead), semi-quantitative (cold-warm-hot), or quantitative (temperature, systolic blood pressure, heart rate, oxygen saturation). The output can be binary (yes-no) or it can express probabilities or confidence intervals. 1. order doesn’t matter: f(a,b) = f(b,a), where “a” and “b” are input values, “f” is the function. 2. multipliers pass through (linearity): f(ka,kb)=k f(a,b), where k is a scalar e.g. 2.54 cm/inch. Properties 1 and 2 lead us to consider linear functions consisting of sums and multipliers: f(a,b,c)=Aa+Bb+Cc …, where the capital letters are multipliers by “constants” – numbers that are independent of the list values a,b,c, and since the order should not matter, we simplify to f(a,b,c)=K (a+b+c+…) because a constant multiplier K makes order not matter. Property 3 forces us to pick K = 1/N where N is the length of the list. These properties lead us to the mathematical solution: average = sum of list of numbers divided by the length of the list. A coin flip is a simple DSS: heads I do it, tails I don’t. The challenge of a good DSS is to perform better than random choice and also perform better (more accurately, more efficiently, more reliably, more timely and/or under more adverse conditions) than unassisted human decision making. Therefore, I propose the following guiding principles for DSS design: choose inputs wisely (accessible, timely, efficient, relevant), determine to what you want output to be sensitive AND to what you want output to be insensitive, and be very clear about your measures of success. For example, consider designing a DSS to determine whether a patient should receive the full range of support capabilities of an intensive care unit (ICU), or not. Politicians have cited the large bump in the cost of the last year of life as an opportunity to reduce costs of healthcare, and now pay primary care doctors to encourage patients to establish advanced directives not to use ICU services. From the DSS standpoint, the reasoning is flawed because the decision not to use ICU services should be sensitive to benefit as well as cost, commonly called cost-benefit analysis. If we measure success of ICU services by the benefit of quality life net gain (QLNG, “quailing”), measured in quality life-years (QuaLYs) and achieve 50% success with that, then the cost per QuaLY measures the cost-benefit of ICU services. In various cost-benefit decisions, the US Congress has decided to proceed if the cost is under $20-$100,000/QuaLY. If ICU services are achieving such a cost-benefit, then it is not logical to summarily block such services in advance. Rather, the ways to reduce those costs include improving the cost efficiency of ICU care, and improving the decision-making of who will benefit. An example of a DSS is the prediction of plane failure from a thousand measurements of strain and function of various parts of an airplane. The desired output is probability of failure to complete the next flight safely. Cost-Benefit analysis then establishes what threshold or operating point merits grounding the plane for further inspection and preventative maintenance repairs. If a DSS reports probability of failure, then the decision (to ground the plane) needs to establish a threshold at which a certain probability triggers the decision to ground the plane. The notion of an operating point brings up another important concept in decision support. At first blush, one might think the success of a DSS is determined by its ability to correctly identify a predicted outcome, such as futility of ICU care (when will the end result be no quality life net gain). The flaw in that measure of success is that it depends on prevalence in the study group. As an extreme example, if you study a group of patients with fatal gunshot wounds to the head, none will benefit and the DSS requirement is trivial and any DSS that says no for that group has performed well. At the other extreme, if all patients become healthy, the DSS requirement is also trivial, just say yes. Therefore the proper assessment of a DSS should pay attention to the prevalence and the operating point. The sensitivity to the disease is the true positive rate (TPR), the percentage of all disease cases that are ranked by the decision support as positive: TPR = TP/(TP+FN). 100% sensitivity can be achieved trivially by lowering the threshold for a positive test to zero, at a cost. While sensitivity is necessary for success it is not sufficient. In addition to wanting sensitivity to disease, we want to avoid labeling non-disease as disease. That is often measured by specificity, the true negative rate (TNR), the percentage of those without disease who are correctly identified as not having disease: TNR = TN/(FP+TN). I propose also we define the complement to specificity, the anti-sensitivity, as the false positive rate (FPR), FPR = FP/(FP+TN) = 1 – TNR. Anti-sensitivity is a penalty cost of lowering the diagnostic threshold to boost sensitivity, as the concomitant rise in anti-sensitivity means a growing number of non-disease subjects are labeled as having disease. We want high sensitivity to true disease without high anti-sensitivity to false disease, and we want to be insensitive to common distractors. In these formulas, note that false negatives (FN) are True for disease, and false positives (FP) are False for disease, so the denominators add FN to TP for total True disease, and add FP to TN for total False for disease. The graph in figure 1 justifies the definition of anti-sensitivity. It is an ROC or “Receiver-Operator Curve” which is a plot of sensitivity versus anti-sensitivity for different diagnostic thresholds of a test (operating points). Note, higher sensitivity comes at the cost of higher anti-sensitivity. Where to operate (what threshold to use for diagnosis) can be selected according to cost-benefit analysis of sensitivity versus anti-sensitivity (and specificity). 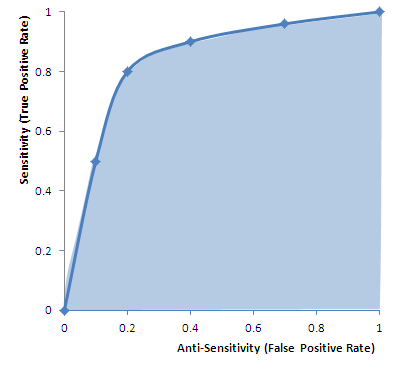 FIgure 1 ROC (Receiver-Operator Curve): Graph of sensitivity (true positive rate) versus anti-sensitivity (false positive rate) computed by changing the operating point (threshold for declaring a test numeric value positive for disease). High area under the curve (AUC) is favorable because it means less anti-sensitivity for high sensitivity (upper left corner of shaded area more to the left, and higher). The dots on the curve are operating points. An inclusive operating point (high on the curve, high sensitivity) is used for screening tests, whereas an exclusive operating point (low on the curve, low anti-sensitivity) is used for definitive diagnosis. Cost benefit analysis generally is based on a semi-lattice, or upside-down branching tree, which represents all choices and outcomes. It is important to include all branches down to final outcomes. For example, if the test is a mammogram to screen for breast cancer, the cost is not just the cost of the test, and the benefit “early diagnosis.” The cost-benefit calculation forces us to put a numerical value on the impact, such as a financial cost to an avoidable death, or we can get a numerical result in terms of quality life years expected. The cost, however, is not just the cost of the mammogram, but also of downstream events such as the cost of the needle biopsies for the suspicious “positives” and so on. 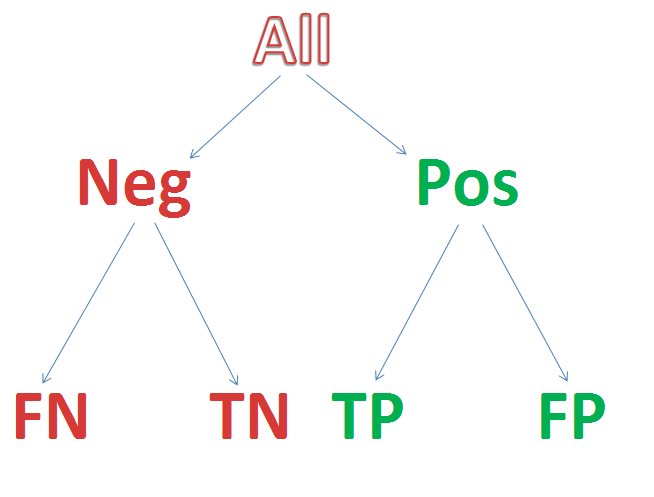 Figure 2 Semi-lattice Decision Tree: Starting from all patients, create a branch point for your test result, and add further branch points for any subsequent step-wise outcomes until you reach the “bottom line.” Assign a value to each, resulting in a numerical net cost and net benefit. If tests invoke risks (for example, needle biopsy of lung can collapse a lung and require hospitalization for a chest tube) then insert branch points for whether the complication occurs or not, as the treatment of a complication counts as part of the cost. The intermediary nodes can have probability of occurrence as their numeric factor, and the bottom line can apply the net probability of the path leading to a value as a multiplier to the dollar value (a 10% chance of costing $10,000 counts as an expectation cost of 0.1 x 10,000 = $1,000). A third area of discussion is the statistical power of a DSS – how reliable is it in the application that you care about? Commonly DSS design is contrary to common statistical applications which address significance of a deviation in a small number of variables that have been measured many times in a large population. Instead, DSS often uses many variables to fully describe or characterize the status of a small population. For example, thousands of different measurements may be performed on a few dozen airplanes, aiming to predict when the plane should be grounded for repairs. A similar inversion of numbers – numerous variables, small number of cases – is common in genomics studies. A value may be deemed distinctive based on a 95% confidence interval if it falls outside of the norm, say by more than twice the standard deviation σ, thereby establishing that it is unlikely to be random as the distance from the mean excludes 95% of the normal distribution. The frequency distribution (a function of mean and spread) reports the frequency of observing xi if it is drawn from a population with the specified mean μ and standard deviation σ . We can invert that by treating the observations, xi , as known and the mean μ and standard deviation σ unknown, then calculate the values μ and σ that maximize the likelihood of our sample set as coming from the dynamically described population. In DSS there is typically an inversion of the usually requisite large number of samples (small versus large) and number of variables (large versus small. This inversion has major consequences on data confidence. If you measure just 14 independent variables versus one variable, each at 95% confidence, the net confidence drops exponentially to less than 50%: 0.9514=49%. In the airplane grounding screen tests, 1000 independent variables, at 95% confidence each, yields a net confidence of only 5 x 10-23 which is 10 sextillion times less than 50% confidence. This same problem arises in genomics research, in which we have a large array of gene product measurements on a small number of patients. Standard statistical tools are problematic at high variable counts. One can turn to qualitative grouping tools such as exploratory factor analysis, or recover statistical robustness with HykGene, a combined cluster and ranking method devised by the author to improve dramatically the ability to identify distinctions with confidence when the number of variables is high. The examples provided above refer to sets of binary models, one family of DSS. Another type of DSS is multivariate in nature, a corollary of multivariate scenarios constitute alternative choice options. Last decade development in the DSS field involved the design of Recommendation Engines given manifested preference functions that involved simultaneous trade-off functions against cost function. Game theoretical context is embedded into Recommendation Engines. The output mentioned above, is in fact an array of options with probabilities of saving reward assigned by the Recommendation Engine. There are many different methodologies that can be used by a CDSS in order to provide support to the health care professional. The basic components of a CDSS include a dynamic (medical) knowledge base and an inference mechanism (usually a set of rules derived from the experts and evidence-based medicine) and implemented through medical logic modules based on a language such as Arden syntax. It could be based on Expert systems or artificial neural networks or both (connectionist expert systems). The Bayesian network is a knowledge-based graphical representation that shows a set of variables and their probabilistic relationships between diseases and symptoms. They are based on conditional probabilities, the probability of an event given the occurrence of another event, such as the interpretation of diagnostic tests. Bayes’ rule helps us compute the probability of an event with the help of some more readily available information and it consistently processes options as new evidence is presented. In the context of CDSS, the Bayesian network can be used to compute the probabilities of the presence of the possible diseases given their symptoms. Some of the advantages of Bayesian Network include the knowledge and conclusions of experts in the form of probabilities, assistance in decision making as new information is available and are based on unbiased probabilities that are applicable to many models. Some of the disadvantages of Bayesian Network include the difficulty to get the probability knowledge for possible diagnosis and not being practical for large complex systems given multiple symptoms. The Bayesian calculations on multiple simultaneous symptoms could be overwhelming for users. Example of a Bayesian network in the CDSS context is the Iliad system which makes use of Bayesian reasoning to calculate posterior probabilities of possible diagnoses depending on the symptoms provided. The system now covers about 1500 diagnoses based on thousands of findings. Another example is the DXplain system that uses a modified form of the Bayesian logic. This CDSS produces a list of ranked diagnoses associated with the symptoms. A third example is SimulConsult, which began in the area of neurogenetics. By the end of 2010 it covered ~2,600 diseases in neurology and genetics, or roughly 25% of known diagnoses. It addresses the core issue of Bayesian systems, that of a scalable way to input data and calculate probabilities, by focusing specialty by specialty and achieving completeness. Such completeness allows the system to calculate the relative probabilities, rather than the person inputting the data. Using the peer-reviewed medical literature as its source, and applying two levels of peer-review to the data entries, SimulConsult can add a disease with less than a total of four hours of clinician time. It is widely used by pediatric neurologists today in the US and in 85 countries around the world. Artificial Neural Networks (ANN) is a nonknowledge-based adaptive CDSS that uses a form of artificial intelligence, also known as machine learning, that allows the systems to learn from past experiences / examples and recognizes patterns in clinical information. It consists of nodes called neuron and weighted connections that transmit signals between the neurons in a forward or looped fashion. An ANN consists of 3 main layers: Input (data receiver or findings), Output (communicates results or possible diseases) and Hidden (processes data). The system becomes more efficient with known results for large amounts of data. The advantages of ANN include the elimination of needing to program the systems and providing input from experts. The ANN CDSS can process incomplete data by making educated guesses about missing data and improves with every use due to its adaptive system learning. Additionally, ANN systems do not require large databases to store outcome data with its associated probabilities. Some of the disadvantages are that the training process may be time consuming leading users to not make use of the systems effectively. The ANN systems derive their own formulas for weighting and combining data based on the statistical recognition patterns over time which may be difficult to interpret and doubt the system’s reliability. Examples include the diagnosis of appendicitis, back pain, myocardial infarction, psychiatric emergencies and skin disorders. The ANN’s diagnostic predictions of pulmonary embolisms were in some cases even better than physician’s predictions. Additionally, ANN based applications have been useful in the analysis of ECG (A.K.A. EKG) waveforms. A Genetic Algorithm (GA) is a nonknowledge-based method developed in the 1940s at the Massachusetts Institute of Technology based on Darwin’s evolutionary theories that dealt with the survival of the fittest. These algorithms rearrange to form different re-combinations that are better than the previous solutions. Similar to neural networks, the genetic algorithms derive their information from patient data. An advantage of genetic algorithms is these systems go through an iterative process to produce an optimal solution. The fitness function determines the good solutions and the solutions that can be eliminated. A disadvantage is the lack of transparency in the reasoning involved for the decision support systems making it undesirable for physicians. The main challenge in using genetic algorithms is in defining the fitness criteria. In order to use a genetic algorithm, there must be many components such as multiple drugs, symptoms, treatment therapy and so on available in order to solve a problem. Genetic algorithms have proved to be useful in the diagnosis of female urinary incontinence. A rule-based expert system attempts to capture knowledge of domain experts into expressions that can be evaluated known as rules; an example rule might read, “If the patient has high blood pressure, he or she is at risk for a stroke.” Once enough of these rules have been compiled into a rule base, the current working knowledge will be evaluated against the rule base by chaining rules together until a conclusion is reached. Some of the advantages of a rule-based expert system are the fact that it makes it easy to store a large amount of information, and coming up with the rules will help to clarify the logic used in the decision-making process. However, it can be difficult for an expert to transfer their knowledge into distinct rules, and many rules can be required for a system to be effective. Rule-based systems can aid physicians in many different areas, including diagnosis and treatment. An example of a rule-based expert system in the clinical setting is MYCIN. Developed at Stanford University by Edward Shortliffe in the 1970s, MYCIN was based on around 600 rules and was used to help identify the type of bacteria causing an infection. While useful, MYCIN can help to demonstrate the magnitude of these types of systems by comparing the size of the rule base (600) to the narrow scope of the problem space. The Stanford AI group subsequently developed ONCOCIN, another rules-based expert system coded in Lisp in the early 1980s. The system was intended to reduce the number of clinical trial protocol violations, and reduce the time required to make decisions about the timing and dosing of chemotherapy in late phase clinical trials. As with MYCIN, the domain of medical knowledge addressed by ONCOCIN was limited in scope and consisted of a series of eligibility criteria, laboratory values, and diagnostic testing and chemotherapy treatment protocols that could be translated into unambiguous rules. Oncocin was put into production in the Stanford Oncology Clinic. The methodology behind logical condition is fairly simplistic; given a variable and a bound, check to see if the variable is within or outside of the bounds and take action based on the result. An example statement might be “Is the patient’s heart rate less than 50 BPM?” It is possible to link multiple statements together to form more complex conditions. Technology such as a decision table can be used to provide an easy to analyze representation of these statements. In the clinical setting, logical conditions are primarily used to provide alerts and reminders to individuals across the care domain. For example, an alert may warn an anesthesiologist that their patient’s heart rate is too low; a reminder could tell a nurse to isolate a patient based on their health condition; finally, another reminder could tell a doctor to make sure he discusses smoking cessation with his patient. Alerts and reminders have been shown to help increase physician compliance with many different guidelines; however, the risk exists that creating too many alerts and reminders could overwhelm doctors, nurses, and other staff and cause them to ignore the alerts altogether. The primary basis behind the causal network methodology is cause and effect. In a clinical causal probabilistic network, nodes are used to represent items such as symptoms, patient states or disease categories. Connections between nodes indicate a cause and effect relationship. A system based on this logic will attempt to trace a path from symptom nodes all the way to disease classification nodes, using probability to determine which path is the best fit. Some of the advantages of this approach are the fact that it helps to model the progression of a disease over time and the interaction between diseases; however, it is not always the case that medical knowledge knows exactly what causes certain symptoms, and it can be difficult to choose what level of detail to build the model to. The first clinical decision support system to use a causal probabilistic network was CASNET, used to assist in the diagnosis of glaucoma. CASNET featured a hierarchical representation of knowledge, splitting all of its nodes into one of three separate tiers: symptoms, states and diseases. ^ a b c d e “Decision support systems .” 26 July 2005. 17 Feb. 2009 <http://www.openclinical.org/dss.html>. 2^ a b c d e f g Berner, Eta S., ed. Clinical Decision Support Systems. New York, NY: Springer, 2007. 3^ Khosla, Vinod (December 4, 2012). “Technology will replace 80% of what doctors do”. Retrieved April 25, 2013. ^ Garg AX, Adhikari NK, McDonald H, Rosas-Arellano MP, Devereaux PJ, Beyene J et al. (2005). “Effects of computerized clinical decision support systems on practitioner performance and patient outcomes: a systematic review.”. JAMA 293 (10): 1223–38. doi:10.1001/jama.293.10.1223. PMID 15755945. ^ Kensaku Kawamoto, Caitlin A Houlihan, E Andrew Balas, David F Lobach. (2005). “Improving clinical practice using clinical decision support systems: a systematic review of trials to identify features critical to success.”. BMJ 330 (7494): 765. doi:10.1136/bmj.38398.500764.8F. PMC 555881. PMID 15767266. ^ Gluud C, Nikolova D (2007). “Likely country of origin in publications on randomised controlled trials and controlled clinical trials during the last 60 years.”. Trials 8: 7. doi:10.1186/1745-6215-8-7. PMC 1808475. PMID 17326823. ^ Wagholikar, K. “Modeling Paradigms for Medical Diagnostic Decision Support: A Survey and Future Directions”. Journal of Medical Systems. Retrieved 2012. Cardiovascular Diseases: Decision Support Systems (DSS) for Disease Management Decision Making – DSS analyzes information from hospital cardiovascular patients in real time and compares it with a database of thousands of previous cases to predict the most likely outcome. Can aviation technology reduce heart surgery complications? British researchers are working to adapt technology from the aviation industry to help prevent complications among heart patients after surgery. Up to 1,000 sensors aboard aircraft help airlines determine when a plane requires maintenance, reports The Engineer, serving as a model for the British risk-prediction system. The system analyzes information from hospital cardiovascular patients in real time and compares it with a database of thousands of previous cases to predict the most likely outcome. “There are vast amounts of clinical data currently collected which is not analyzed in any meaningful way. This tool has the potential to identify subtle early signs of complications from real-time data,” Stuart Grant, a research fellow in surgery at University Hospital of South Manchester, says in a hospital statement. Grant is part of the Academic Surgery Unit working with Lancaster University on the project, which is still its early stages. The software predicts the patient’s condition over a 24-hour period using four metrics: systolic blood pressure, heart rate, respiration rate and peripheral oxygen saturation, explains EE Times. As a comparison tool, the researchers obtained a database of 30,000 patient records from the Massachusetts Institute of Technology and combined it with a smaller, more specialized database from Manchester. In six months of testing, its accuracy is about 75 percent, The Engineer reports. More data and an improved algorithm could boost that rate to 85 percent, the researchers believe. Making the software web-based would allow physicians to access the data anywhere, even on tablets or phones, and could enable remote consultation with specialists. In their next step, the researchers are applying for more funding and for ethical clearance for a large-scale trial. U.S. researchers are working on a similar crystal ball, but one covering an array of conditions. Researchers from the University of Washington, MIT and Columbia University are using a statistical model that can predict future ailments based on a patient’s history–and that of thousands of others. And the U.S. Department of Health & Human Services is using mathematical modeling to analyze effects of specific healthcare interventions. Stud Health Technol Inform. 2010;160(Pt 2):846-50. AALIM: a cardiac clinical decision support system powered by advanced multi-modal analytics. Amir A, Beymer D, Grace J, Greenspan H, Gruhl D, Hobbs A, Pohl K, Syeda-Mahmood T, Terdiman J, Wang F.
IBM Almaden Research Center, San Jose, CA, USA. Modern Electronic Medical Record (EMR) systems often integrate large amounts of data from multiple disparate sources. To do so, EMR systems must align the data to create consistency between these sources. The data should also be presented in a manner that allows a clinician to quickly understand the complete condition and history of a patient’s health. We develop the AALIM system to address these issues using advanced multimodal analytics. First, it extracts and computes multiple features and cues from the patient records and medical tests. This additional metadata facilitates more accurate alignment of the various modalities, enables consistency check and empowers a clear, concise presentation of the patient’s complete health information. The system further provides a multimodal search for similar cases within the EMR system, and derives related conditions and drugs information from them. We applied our approach to cardiac data from a major medical care organization and found that it produced results with sufficient quality to assist the clinician making appropriate clinical decisions. A good example of a thorough and effective CDSS development process is an electronic checklist developed by Riggio et al. at Thomas Jefferson University Hospital (TJUH) . TJUH had a computerized physician order-entry system in place. To meet congestive heart failure and acute myocardial infarction quality measures (e.g., use of aspirin, beta blockers, and angiotensin-converting enzyme (ACE) inhibitors), a multidisciplinary team including a focus group of residents developed a checklist, embedded in the computerized discharge instructions, that required resident physicians to prescribe the recommended medications or choose from a drop-down list of contraindications. The checklist was vetted by several committees, including the medical executive committee, and presented at resident conferences for feedback and suggestions. Implementation resulted in a dramatic improvement in compliance. MYCIN (1976) MYCIN was a rule-based expert system designed to diagnose and recommend treatment for certain blood infections (antimicrobial selection for patients with bacteremia or meningitis). It was later extended to handle other infectious diseases. Clinical knowledge in MYCIN is represented as a set of IF-THEN rules with certainty factors attached to diagnoses. It was a goal-directed system, using a basic backward chaining reasoning strategy (resulting in exhaustive depth-first search of the rules base for relevant rules though with additional heuristic support to control the search for a proposed solution). MYCIN was developed in the mid-1970s by Ted Shortliffe and colleagues at Stanford University. It is probably the most famous early expert system, described by Mark Musen as being “the first convincing demonstration of the power of the rule-based approach in the development of robust clinical decision-support systems” [Musen, 1999]. The EMYCIN (Essential MYCIN) expert system shell, employing MYCIN’s control structures was developed at Stanford in 1980. This domain-independent framework was used to build diagnostic rule-based expert systems such as PUFF, a system designed to interpret pulmonary function tests for patients with lung disease. also showed that neural networks did a better job than two experienced cardiologists in detecting acute myocardial infarction in electrocardiograms with concomitant left bundle branch block. Olsson SE, Ohlsson M, Ohlin H, Edenbrandt L. Neural networks—a diagnostic tool in acute myocardial infarction with concomitant left bundle branch block. Clin Physiol Funct Imaging 2002;22:295–299. The prognosis of acute myocardial infarction (AMI) improves by early revascularization. However the presence of left bundle branch block (LBBB) in the electrocardiogram (ECG) increases the difficulty in recognizing an AMI and different ECG criteria for the diagnosis of AMI have proved to be of limited value. The purpose of this study was to detect AMI in ECGs with LBBB using artificial neural networks and to compare the performance of the networks to that of six sets of conventional ECG criteria and two experienced cardiologists. A total of 518 ECGs, recorded at an emergency department, with a QRS duration > 120 ms and an LBBB configuration, were selected from the clinical ECG database. Of this sample 120 ECGs were recorded on patients with AMI, the remaining 398 ECGs being used as a control group. Artificial neural networks of feed-forward type were trained to classify the ECGs as AMI or not AMI. The neural network showed higher sensitivities than both the cardiologists and the criteria when compared at the same levels of specificity. The sensitivity of the neural network was 12% (P = 0.02) and 19% (P = 0.001) higher than that of the cardiologists. Artificial neural networks can be trained to detect AMI in ECGs with concomitant LBBB more effectively than conventional ECG criteria or experienced cardiologists. During 1979-1983 Dr. Aviva Lev-Ari was part of Prof. Ronald A. Howard, Stanford University, Study Team, the consulting group to Stanford Medical Center during MYCIN feature enhancement development. Professor Howard is one of the founders of the decision analysis discipline. His books on probabilistic modeling, decision analysis, dynamic programming, and Markov processes serve as major references for courses and research in these fields. It was Prof. Howard from EES, Prof. Amos Tversky of Behavior Science (Advisor of Dr. Lev-Ari’s Masters Thesis at HUJ), and Prof. Kenneth Arrow, Economics, with 15 doctoral students in the early 80s, that formed the Interdisciplinary Decision Analysis Core Group at Stanford. Students of Prof. Howard, chiefly, James E. Matheson, started the Decision Analysis Practice at Stanford Research Institute (SRI, Int’l) in Menlo Park, CA. Dr. Lev-Ari was hired on 3/1985 to head SRI’s effort in algorithm-based DSS development. The models she developed were applied in problem solving for SRI Clients, among them Pharmaceutical Manufacturers: Ciba Geigy, now NOVARTIS, DuPont, FMC, Rhone-Poulenc, now Sanofi-Aventis. After reviewing US Office of Research Integrity misconduct reports issued since 1994, the University of Washington‘s Ferric Fang, Joan Bennett at Rutgers University, and Arturo Casadevall from the Albert Einstein College of Medicine found that 88 percent of faculty members who committed fraud were male as were 69 percent of postdocs, 58 percent of students, and 42 percent of other research personnel, as they write in mBio. Only nine of the 72 faculty members who committed research misconduct were female, which is “one-third of the number that would have been predicted from their overall representation among life sciences faculty,” the researchers write. They note, though, that they cannot rule out that women are less likely to get caught. Address correspondence to Ferric C. Fang, fcfang@u.washington.edu. A review of the United States Office of Research Integrity annual reports identified 228 individuals who have committed misconduct, of which 94% involved fraud. Analysis of the data by career stage and gender revealed that misconduct occurred across the entire career spectrum from trainee to senior scientist and that two-thirds of the individuals found to have committed misconduct were male. This exceeds the overall proportion of males among life science trainees and faculty. These observations underscore the need for additional efforts to understand scientific misconduct and to ensure the responsible conduct of research. IMPORTANCE As many of humanity’s greatest problems require scientific solutions, it is critical for the scientific enterprise to function optimally. Misconduct threatens the scientific enterprise by undermining trust in the validity of scientific findings. We have examined specific demographic characteristics of individuals found to have committed research misconduct in the life sciences. Our finding that misconduct occurs across all stages of career development suggests that attention to ethical aspects of the conduct of science should not be limited to those in training. The observation that males are overrepresented among those who commit misconduct implies a gender difference that needs to be better understood in any effort to promote research integrity. With our colleague Grant Steen, two of us (F.F. and A.C.) recently studied all 2,047 retracted scientific articles indexed by PubMed as of 3 May 2012 (1). Unexpectedly, we found that misconduct is responsible for most retracted articles and that fraud or suspected fraud is the most common form of misconduct. Moreover, the incidence of retractions due to fraud is increasing, a trend that should be concerning to scientists and nonscientists alike. To devise effective strategies to reduce scientific misconduct, it will be essential to understand why scientists commit misconduct. However, deducing the motives for misconduct from the study of retractions alone is difficult, because retraction notices provide limited information, and many instances of misconduct do not result in retracted publications. We therefore undertook an alternative approach by reviewing the findings of misconduct summarized in the annual reports of the U.S. Office of Research Integrity (ORI) (http://ori.hhs.gov/about-ori). The ORI is responsible for promoting the responsible conduct of research and overseeing the investigation of misconduct allegations relating to research supported by the Department of Health and Human Services. From 1994 to the present, the annual reports detail 228 individuals found by the ORI to have committed misconduct (2, 3). Fraud was involved in 215 (94%) of these cases. The total number of ORI investigations performed over this period is not known. However, data from the first ten years indicate that approximately one-half of ORI investigations conclude with a finding of misconduct (3). Although we expected most cases of misconduct to involve research trainees, we found that only 40% of instances of misconduct were attributed to a postdoctoral fellow (25%) or student (16%). Faculty members (32%) and other research personnel (28%) were responsible for the remaining instances of misconduct, and these included both junior and senior faculty members, research scientists, technicians, study coordinators, and interviewers. We were able to determine the gender of the individual committing misconduct in all but a single case, and 149 (65%) were male. However, the gender predominance varied according to academic rank. An overwhelming 88% of faculty members committing misconduct were male, compared with 69% of postdocs, 58% of students, and 42% of other research personnel (Fig. 1). The male-female distribution of postdocs and students corresponds with the gender distribution of postdocs and students in science and engineering fields (4). However, nearly all instances of misconduct investigated by the ORI involved research in the life sciences, and the proportion of male trainees among those committing misconduct was greater than would be predicted from the gender distribution of life sciences trainees. Males also were substantially overrepresented among faculty committing misconduct in comparison to their proportion among science and engineering faculty overall, and the difference is even more pronounced for faculty in the life sciences (5). Of the 72 faculty members found to have committed misconduct, only 9 were female, or one-third of the number that would have been predicted from their overall representation among life sciences faculty. We cannot exclude the possibility that females commit research misconduct as frequently as males but are less likely to be detected. FIG 1Gender distribution of scientists committing misconduct. The percentage of scientists sanctioned by the U.S. Office of Research Integrity who are male, stratified by rank, is compared with the percentage of males in the overall United States scientific workforce (error bars show standard deviations) (blue and green bars are from NSF data, 1999–2006 [4, 5]). What motivates individuals to commit research misconduct? Does competition for prestige and resources disproportionately drive misconduct among male scientists? Are women more sensitive to the threat of sanctions? Is gender a correlate of integrity? The disparity between the number of men and women in academic science fields has been considered to be evidence of biologically driven gender differences (6). Thus, it may be tempting to explain the preponderance of male fraud in terms of various evolutionary theories about Y chromosome-driven competitiveness and aggressiveness (7). For example, for more than a century the male baboon has been used to symbolize male aggression. However, stereotypes of male baboon aggression and dominance have been called into question by primatologists focusing on female social networks and competitive strategies (8). Deterministic theories based in biology have been facilely used to explain the persistent gender gap in wages and other measures in the labor market (discussed in reference 9). The pitfalls associated with such simplistic generalizations have been extensively dissected by scholars of gender in science (see, for example, references 10 and 11 and citations therein). While not excluding a role for biological factors, recent studies suggest an important contribution of social and cultural influences in the competitive tendencies of males and females (12). Nevertheless, it is generally known that men are more likely to engage in risky behaviors than women (13) and that crime rates for men are higher than those for women. Sociologists have hypothesized that as the roles of men and women become more similar, so will their crime rates (14). There is evidence for this “convergence hypothesis” in terms of arrests for robbery, burglary, and motor vehicle theft but not for homicide (15). Similarly, while most studies show that male students cheat more frequently than female students, recent data suggest that within similar areas of study, the gender differences are small. Women majoring in engineering self-report cheating at rates comparable to those reported by men majoring in engineering (16). We did not observe a significant convergence in scientific misconduct by males and females reported by the ORI over time (Fig. 2), although the analysis was limited by the small sample size. Interestingly, we also failed to observe an overall increase in research misconduct in the ORI findings, in contrast to an increase in retractions for fraud observed in our earlier study (1), with the caveat that the present study focused on a much smaller and incompletely overlapping subset of cases. FIG 2Gender distribution of scientists committing misconduct over time. The percentage of scientists sanctioned by the U.S. Office of Research Integrity who are male, female, or of unknown gender are shown for each reporting year. For the gender ratio in 1994–2002 (n = 120) compared with 2003–2012 (n= 108), χ2 =1.405 and P = 0.24 (calculated using the online tool athttp://www.quantpsy.org/chisq/chisq.htm). The predominant economic system in science is “winner-take-all” (17, 18). Such a reward system has the benefit of promoting competition and the open communication of new discoveries but has many perverse effects on the scientific enterprise (19). The scientific misconduct among both male and female scientists observed in this study may well reflect a darker side of competition in science. That said, the preponderance of males committing research misconduct raises a number of interesting questions. The overrepresentation of males among scientists committing misconduct is evident, even against the backdrop of male overrepresentation among scientists, a disparity more pronounced at the highest academic ranks, a parallel with the so-called “leaky pipeline.” There are multiple factors contributing to the latter, and considerable attention has been paid to factors such as the unique challenges facing young female scientists balancing personal and career interests (20), as well as bias in hiring decisions by senior scientists, who are mostly male (21). It is quite possible that, in at least some cases, misconduct at high levels may contribute to attrition of woman from the senior ranks of academic researchers. In summary, we emphasize two observations from this study: first, misconduct is distributed along the continuum from trainee to senior scientist. Second, men are overrepresented among scientists committing misconduct, with a skewed gender ratio being most pronounced for senior scientists. While we acknowledge that our observations were made from a relatively small database that focuses exclusively on research supported by the U.S. Department of Health and Human Services, we note that each case was extensively documented, and this case series may represent the most reliable information currently available. From our findings, new challenges are directed to the scientific community to maintain the integrity of the scientific enterprise. The occurrence of misconduct at every level of the scientific hierarchy indicates that misconduct is not a problem limited to trainees and requires careful attention to pressures placed on scientists during different stages of their careers. Male predominance is but another example of the scientific enterprise reflecting social and cultural contexts. In closing, the vital importance of the ORI is acknowledged. Without public access to their investigations, it would have been impossible to carry out this study. All countries should have independent agencies with the authority and resources to ensure proper conduct of scientific research. Although our findings may cause concern regarding the scientific enterprise, recognition is a first step toward solving a problem. With so many of the world’s current challenges dependent on scientific solutions, science must look for new ways to ensure the responsible conduct of scientific research (25). Citation Fang FC, Bennett JW, Casadevall A. 2013. Males are overrepresented among life science researchers committing scientific misconduct. mBio 4(1):e00640-12. doi:10.1128/mBio.00640-12. Copyright © 2013 Fang et al.
. 2012. Misconduct accounts for the majority of retracted scientific publications. Proc. Natl. Acad. Sci. U. S. A. 109:17028–17033.
. 2004. ORI closed investigations into misconduct allegations involving research supported by the public health service: 1994–2003. Office of Research Integrity, Department of Health and Human Services, Washington, DC.http://ori.hhs.gov/content/ori-closed-investigations-misconduct-allegations-involving-research-supported-public-health-.
. 2012. Women, minorities, and persons with disabilities in science and engineering. National Science Foundation, National Center for Science and Engineering Statistics, Washington, DC.http://www.nsf.gov/statistics/wmpd/tables.cfm. Accessed 18 October 2012.
. 2008. Thirty-three years of women in S&E faculty positions. NSF 08–308. National Science Foundation, National Center for Science and Engineering Statistics, Washington, DC. http://www.nsf.gov/statistics/infbrief/nsf08308/.
. 2007. Beyond biases and barriers. Fulfilling the potential of women in academic science and engineering. National Academies Press,Washington, DC.
. 1972. Parental investment and sexual selection, p 136–179. In CampbellB , Sexual selection and the descent of man. Aldine, Chicago, IL.
. 1999. Has feminism changed science? Harvard University Press,Cambridge.
. 2009. Gender differences in preferences. J. Econ. Lit.47:1–27.
. 1985. Reflections on gender and science. Yale University Press, New Haven.
. 2006. Feminism and science. Oxford University Press,Oxford, United Kingdom.
. 2006. Gender differences in risk assessment: why do women take fewer risks than men? Judgm. Decis. Mak. 1:48–63.
. 1975. Sisters in crime. McGraw-Hill, New York, NY.
. 1999. Measuring the convergence/divergence of “serious crime” arrest rates for males and females; 1960–1995. J. Quant. Criminol. 15:97–114.
. 2001. Cheating in academic institutions: a decade of research. Ethics Behav. 11:219–232.
. 2002. Scientific misconduct. Academe 88:18–21.
. 2012. Winner takes all. Sci. Am. 307:13.
. 2007. The perverse effects of competition on scientists’ work and relationships. Sci. Eng. Ethics13:437–461. .2012. Science faculty’s subtle gender biases favor male students. Proc. Natl. Acad. Sci. U. S. A. 109:16474–16479.
. 2012. Perspective: Research misconduct: the search for a remedy.Acad. Med. 87:877–882.
. 2005. Entering mentoring, a seminar to train a new generation of scientists. Board of Regents of the University of Wisconsin, Madison, WI.
. 2009. How many scientists fabricate and falsify research? A systematic review and meta-analysis of survey data. PLoS One 4:e5738.http://dx.doi.org/10.1371/journal.pone.0005738. 2012. Reforming science: structural reforms. Infect. Immun. 80:897–901.